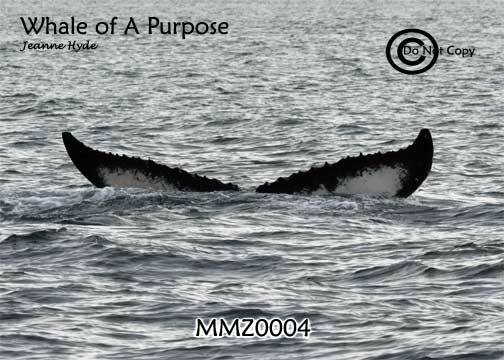 ...well this one gave us a treat a day ahead of time! 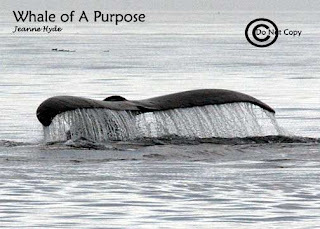 ...and lucky for us the whales had continued to move in our direction and we toward them and we met up with...guess who? 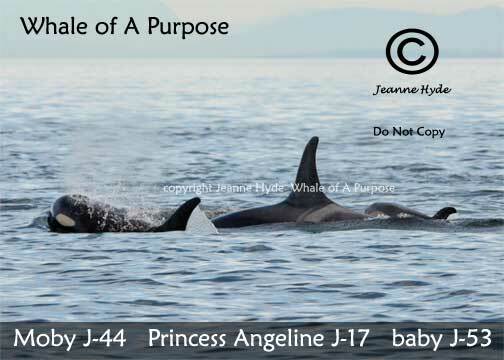 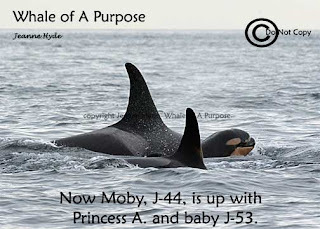 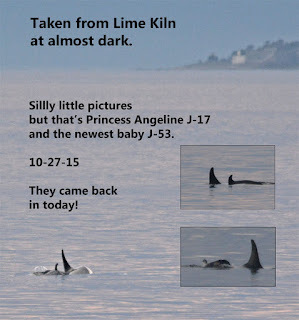 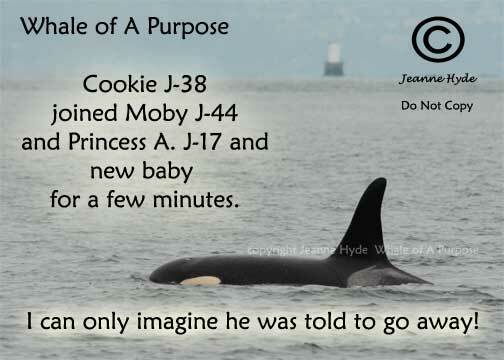 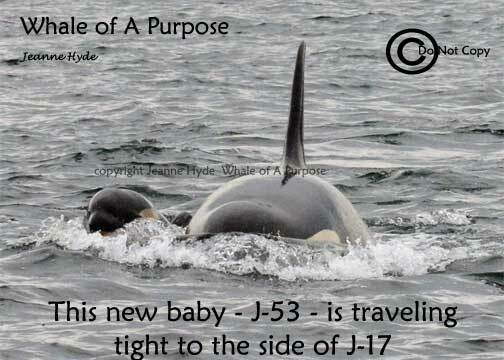 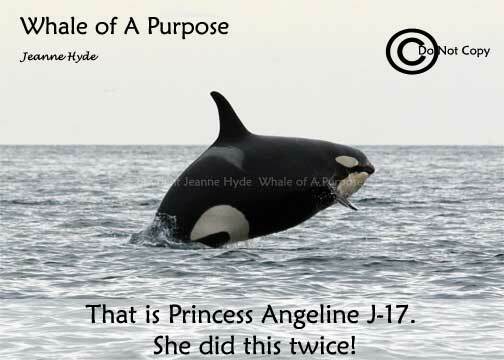 10-24-15 A New Baby In J Pod ! 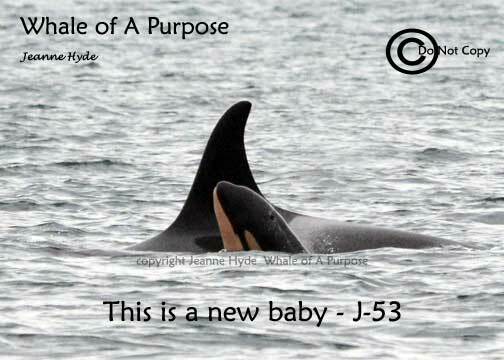 ...and then...it was so very small...definitely it's a new baby!!! 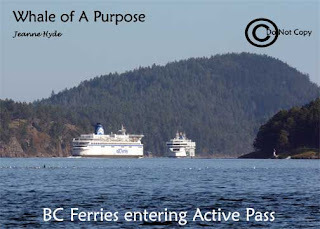 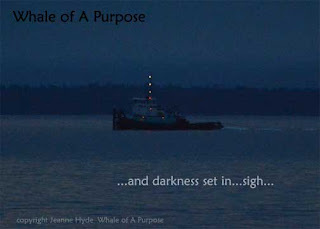 ...they were heading west in the Strait of Juan de Fuca..
...and Andy, Jeff, and I - oh, yes! 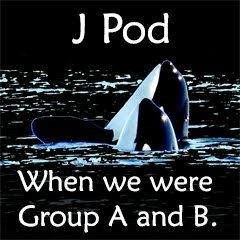 We were delighted so very much! 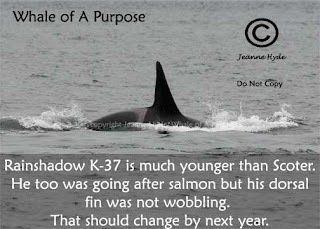 ...Jared Towers of Dept of Fisheries and Oceans, Nanimo, B.C. 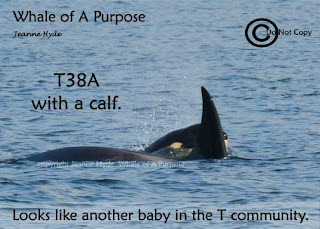 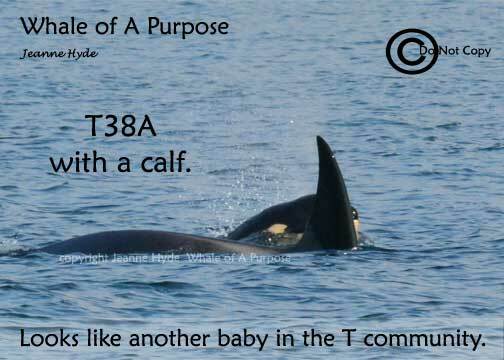 confirmed that T038A had a calf earlier in 2015...we are getting to see it here for the first time. Note added: The title of this article I believe is misleading. 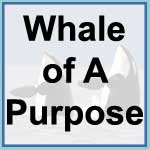 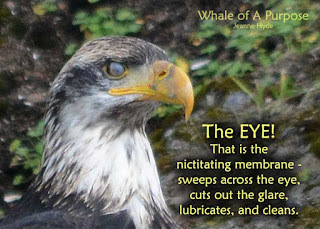 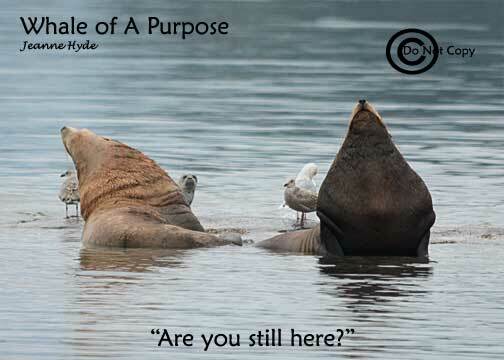 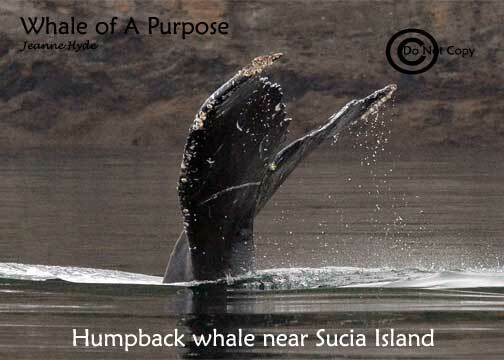 It sounds as if all is just hunky-dory in the whale whale world of the Southern Residents. 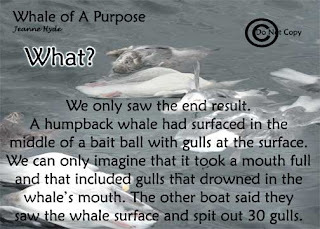 Please read the whole article. 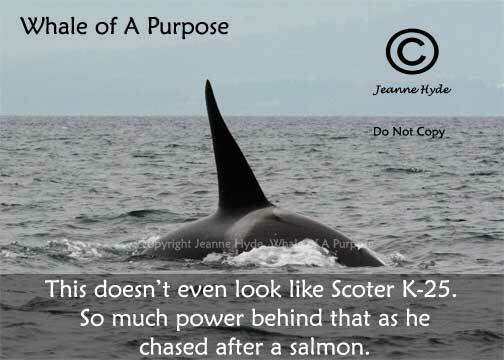 Just because they think they look good now, does not mean to become lax about doing everything possible to restore wild stocks of salmon. Because when they don't 'look good'...well, then they will be chasing the problem instead of front loading it and actually fixing it. Restoration of wild stocks of Chinook salmon are imperative for many reasons. 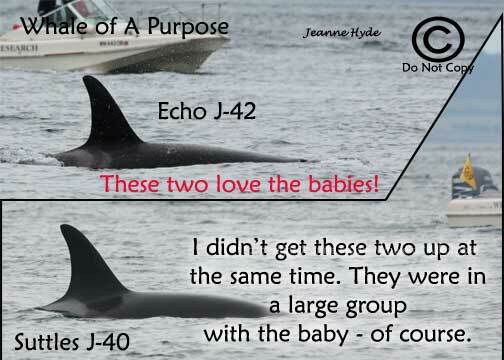 The J, K, and L pods of southern-resident killer whales appear to be in robust health, new photographs show, and several appear to be pregnant, scientists say. 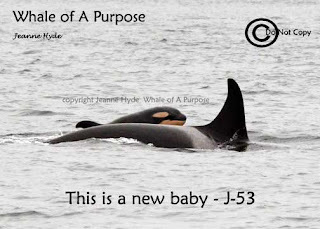 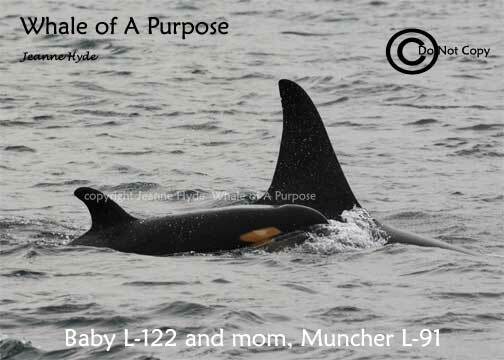 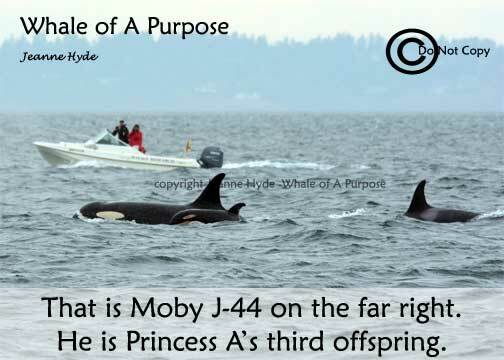 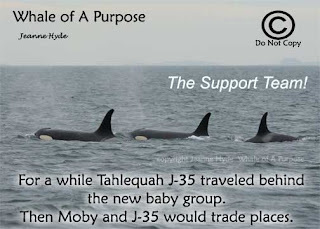 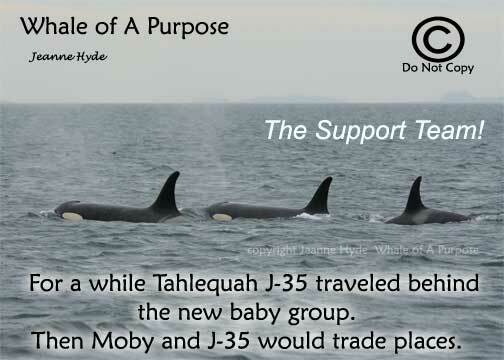 Puget Sound’s most celebrated residents — the J, K, and L pods of southern-resident killer whales — are looking good. 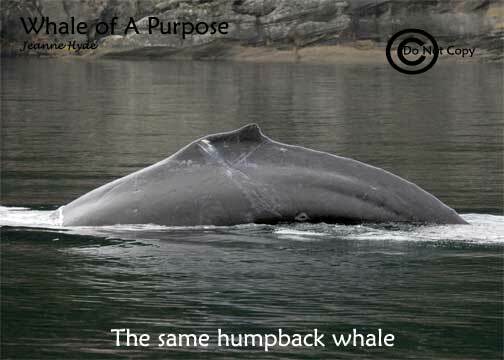 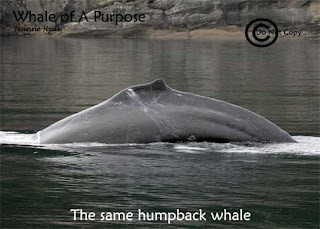 The 82 endangered whales are fat and sleek, and several appear to be pregnant. 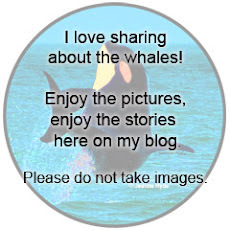 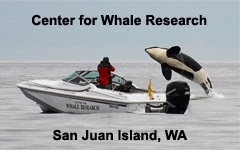 The news was revealed by photogrammetry <http://www.fisheries.noaa.gov/podcasts/2015/10/uav_killer_whale.html> : measurements made from photographs that help scientists understand the health of whales and other wildlife. In the case of the orcas, photos and videos taken this summer using a drone about the size of a large pizza reveal the animals are looking robust. 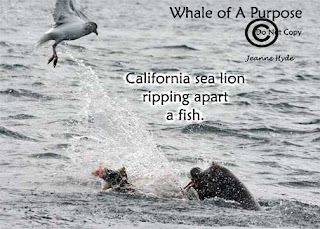 The information is particularly important as a warm El Niño climate pattern sets up along the West Coast, which could lead to declines in salmon runs, especially chinook, the preferred food of Seattle’s picky cetaceans. 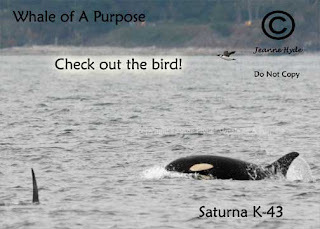 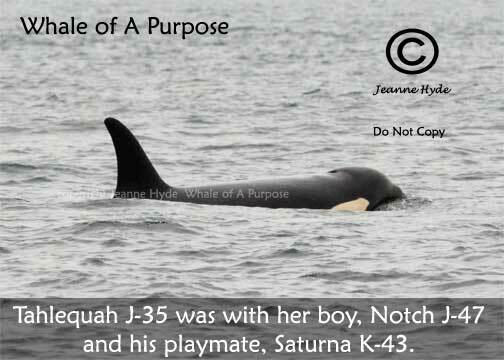 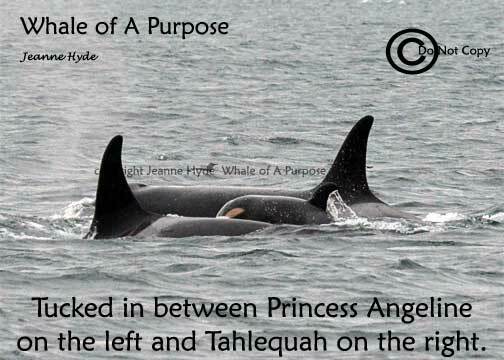 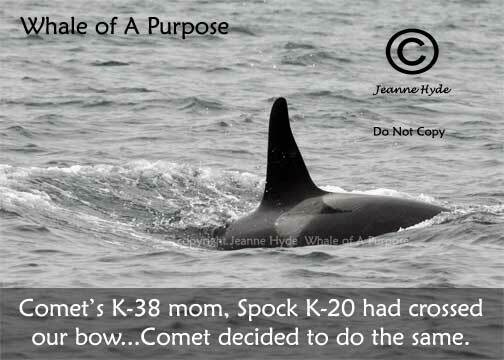 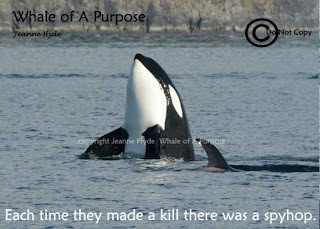 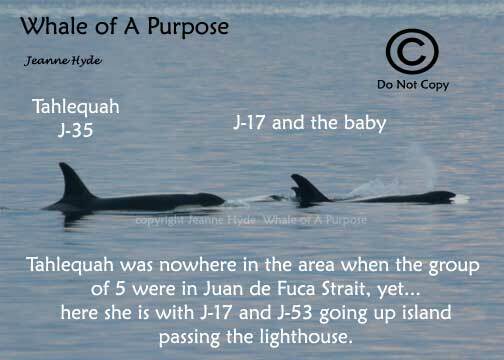 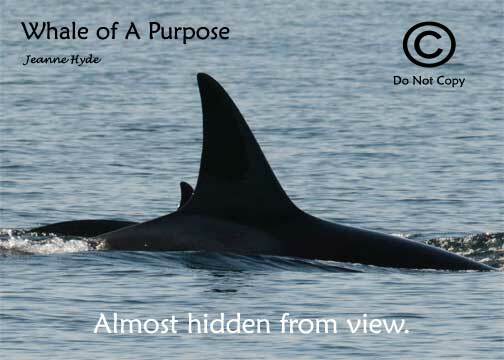 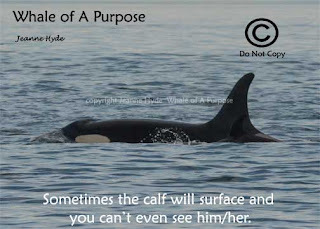 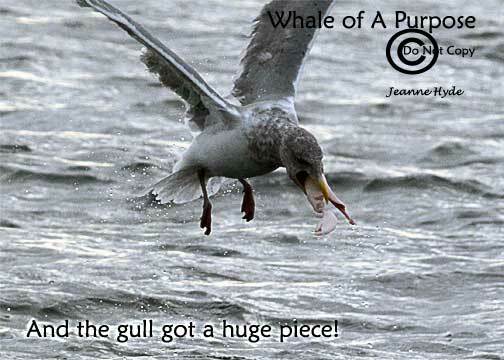 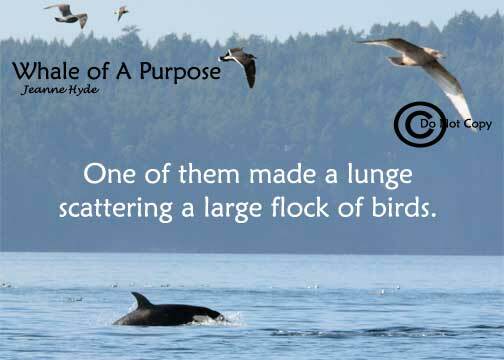 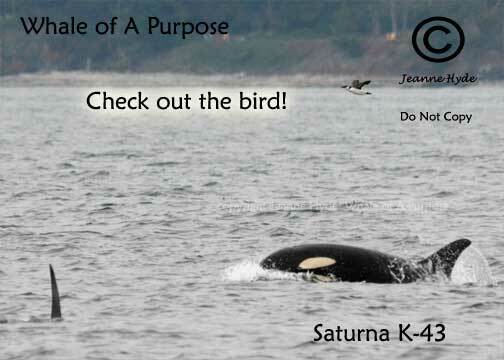 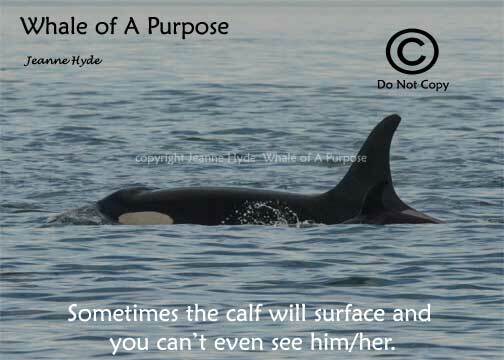 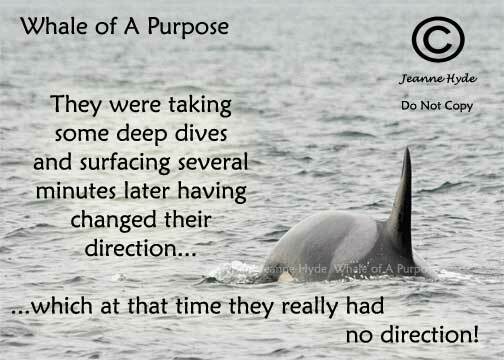 Other orca whales will eat seals, but not the orcas that frequent Puget Sound. 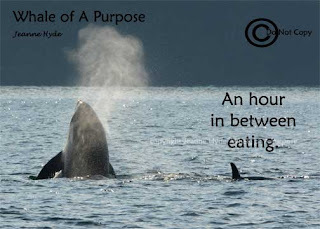 They not only confine their diet mostly to salmon, but specifically the best quality, high-fat chinook. 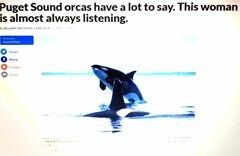 The situation of one endangered species relying on another animal that is also struggling for survival — chinook salmon — as its primary prey has added to the plight of the orcas. The whales are among the eight most endangered species in the country, and are trying to survive in waters crowded with shipping traffic, tainted by stormwater runoff and other pollution. 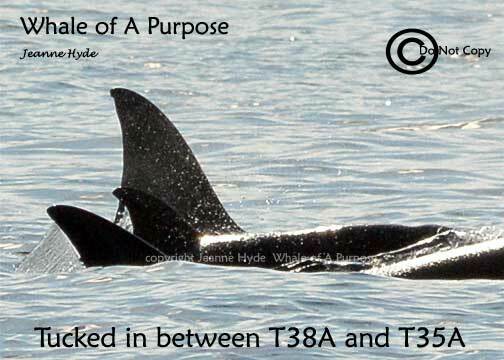 Orcas are among the most contaminated marine mammals in the world, carrying residues of pesticides, flame retardants, industrial coolants and solvents. 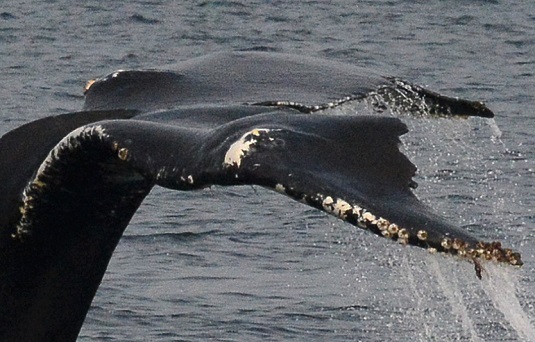 Southern-resident populations dropped last December to 78 whales, a 30-year low, prompting concern. 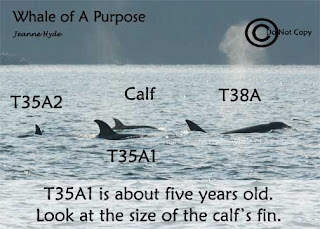 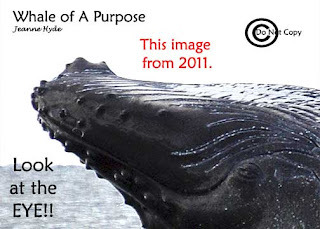 Photos in 2008 and 2013 also revealed a decline in the condition of the southern residents, and the loss of several calves. But this summer’s births and the animals’ apparent good condition offer hope, according to experts gathered to release the photos Wednesday at the Vancouver, B.C., Aquarium. 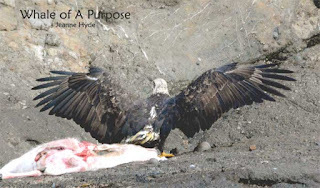 The photos also offer a baseline to judge the animals’ health going forward. 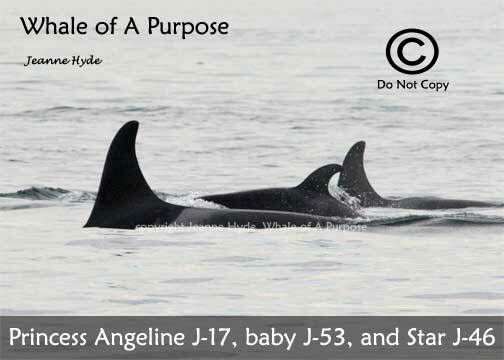 The photos were transformational for scientists getting their first close-up look at southern-resident killer whales going about their daily lives. 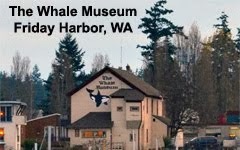 “They make visual the social bonds between these whales; they spend most of their time traveling so close together they can touch,” said Lance Barrett-Lennard, senior marine-mammal scientist at the aquarium. 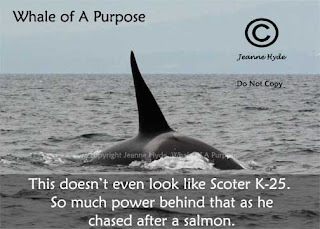 The connection between the health of the orcas and salmon is well established. 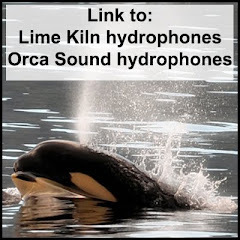 A 2014 special report by the National Oceanic and Atmospheric Administration (NOAA) on southern-resident killer whales pointed to limited salmon populations, vessel traffic and noise, and chemical contamination as the main threats to the whales. They have been listed for protection under the Endangered Species Act since 2005 but their numbers have continued to decline. It is a unique family group, sharing its own language and greeting ceremonies. Recent research reveals southern residents will eat chum and even bottom fish if there is nothing else, but their preferred diet is chinook salmon. Scales and fish tissue samples from fish kills by orcas has enabled researchers to trace those fish to Canada’s Fraser River in the summer, and the Upper Columbia and Snake River in the winter. That information can help researchers understand what the orcas need to survive, said Brad Hanson, a wildlife biologist at the Northwest Fisheries Science Center in Seattle who tracks the orcas’ diet and travels. 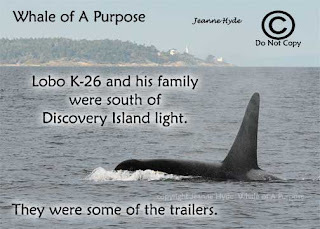 One orca male Hanson tagged and tracked in the winter of 2012-13 ranged up and down the coast as far as California at least three times, and hung around the mouth of the Columbia River just in time for the spring chinook run — the biggest and fattiest salmon of them all. “We know those orcas are hungry,” said Joseph Bogaard, executive director of the Save Our Wild Salmon in Seattle, which, with other conservation groups, is pushing for removal of four dams on the Lower Snake River to boost salmon runs for the whales. 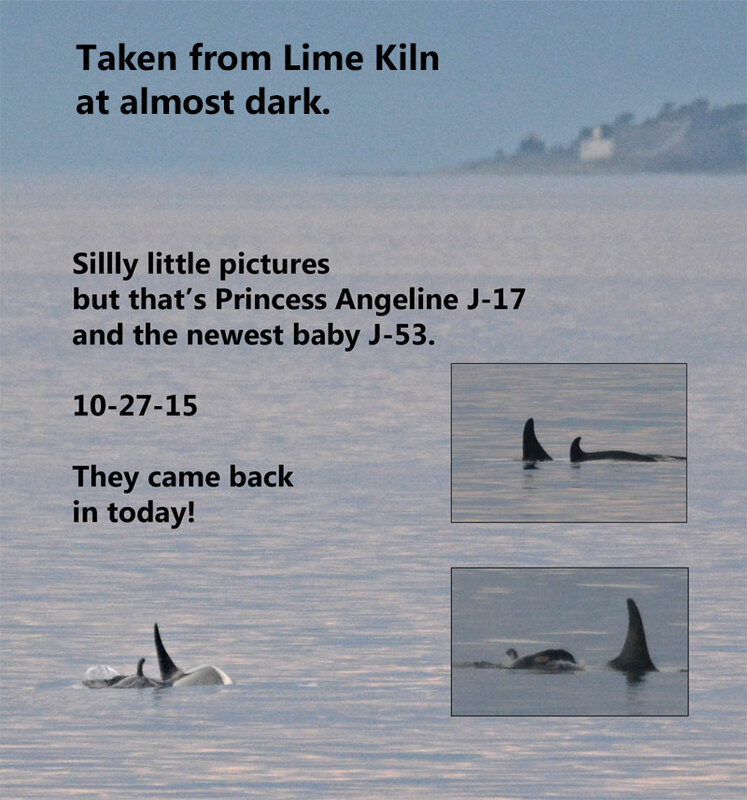 “It is not just any salmon anywhere,” Bogaard said. “It is delivering the fish that are very important to them, the fatty fish that provide them what they need and that already fit within their known set of behaviors.” The Snake is the Columbia’s largest tributary, and the stronghold for chinook. 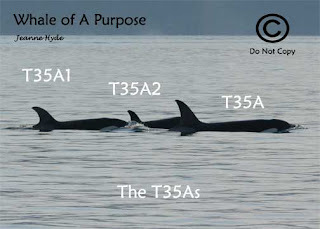 Protecting that food source may be critical to ensure killer-whale population stability and survival for the southern residents, notes Sam Wasser, a conservation biologist at the University of Washington. He has noticed in his research on orcas that thyroid hormone levels that set metabolic rates are highest when the orcas arrive in late spring, suggesting the whales are arriving in Puget Sound after feeding on a rich food source: spring runs of Columbia chinook salmon. 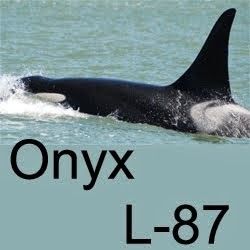 The level goes down as the Fraser River chinook runs decline in the fall, further corroborating the nutritional impact of chinook on the orcas. 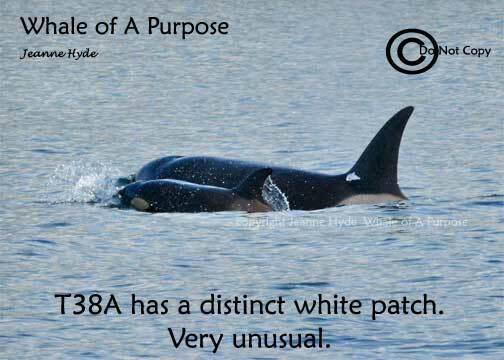 Lynne Barre, branch chief for the protected resources division in NOAA Fisheries’ Seattle Office, said the photos revealed both good and bad news. 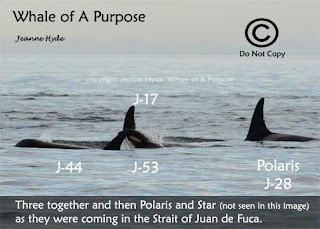 The photos confirmed the survival of a total of five new calves in the southern-resident families this year. 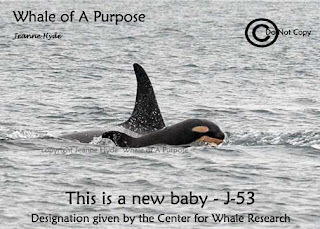 She said the photos can be used with other data, including the diet studies, to better understand how management decisions can be made to help the orcas survive. 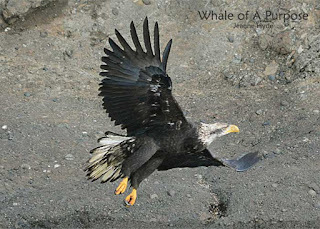 ...it's been foggy...most of the Southern Residents had gone up north...but we'd look for humpbacks and hope that the Residents would come back soon, that is unless they have more salmon up there. 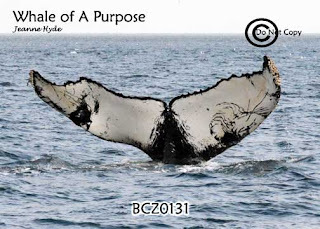 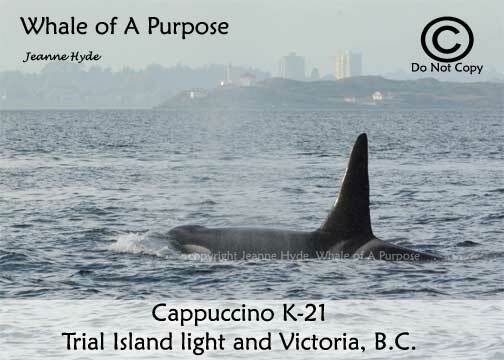 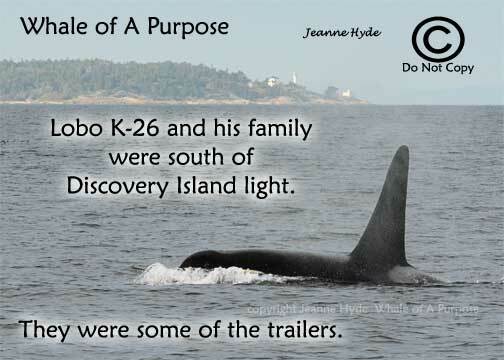 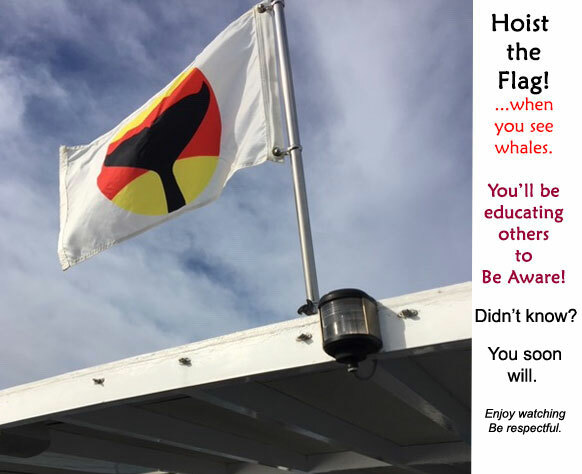 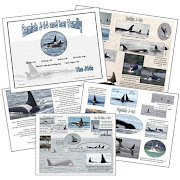 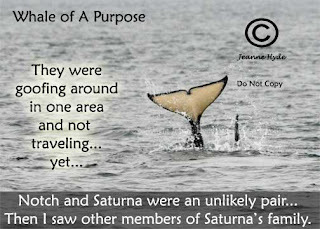 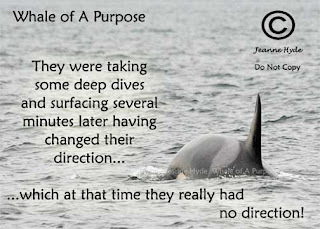 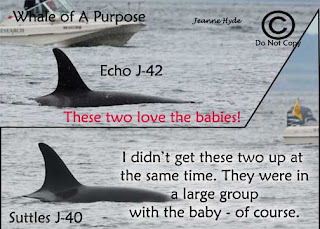 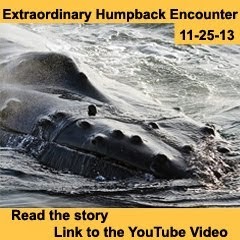 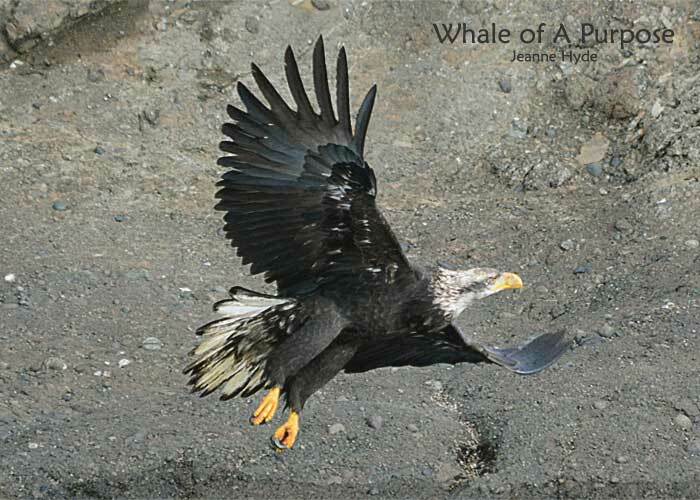 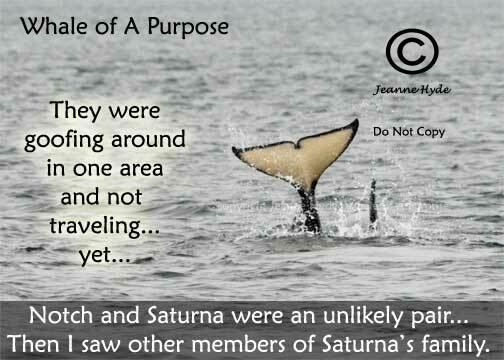 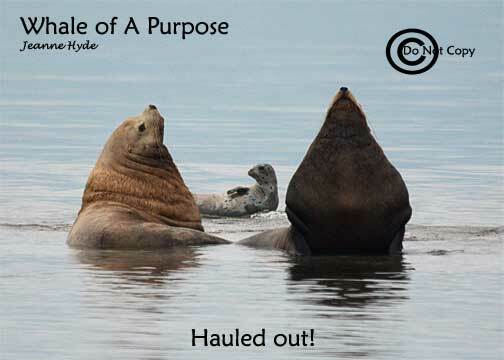 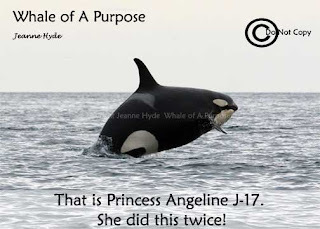 ...and then another bizarre incident that we only got to see the end results of - but if we hadn't we might have wondered if it really happened!..It did...thank you Orca Spirit Adventures zodiac for sharing that with us. You all got to see it happen...we got to see the end result! 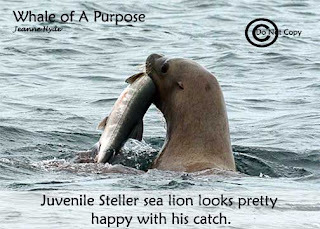 ...little did he know (maybe) but three adult male Stellers were heading his way and fast...I wonder if they got any of that fish? 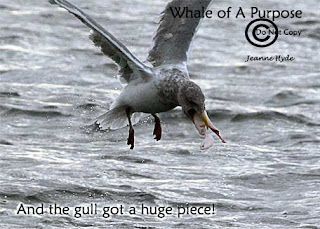 ...they had been calling her 'Gnarly'...I can see why! 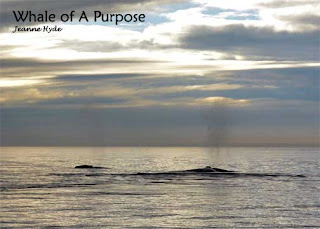 ...great couple of days with humpbacks...and on this day, in the Strait of Juan de Fuca, at one point we could see blows, in the distance all the way around.